The bottom line about D.J. is that he has not only earned his place in the top 1/10th of 1% of all hair stylist worldwide, but has maintained that for 2 decades and counting. D.J. 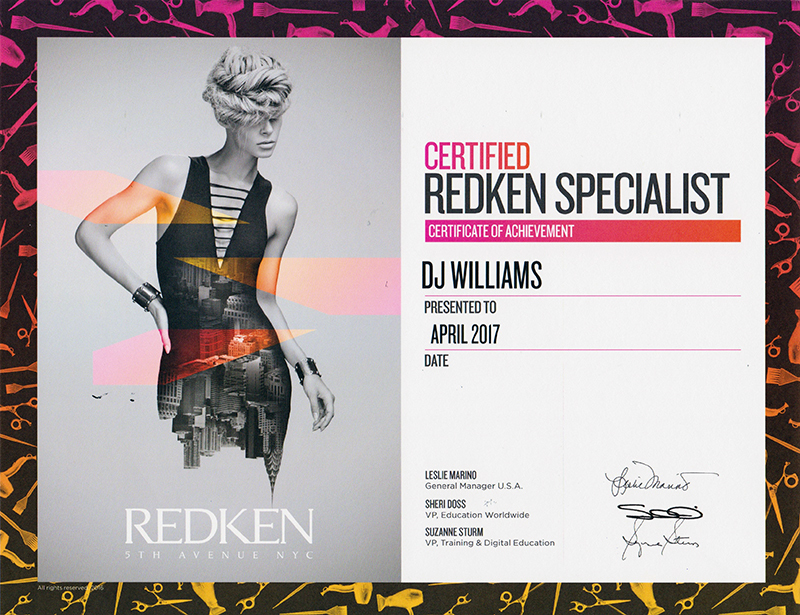 Williams graduated from The Academy of Hair Design of North Charleston, S.C. with honors and in the top 1% of his class in 1988. He believes in constant education for himself and all others surrounding him. Competitively, stateside he has placed 1st numerous times and internationally in the Top 10. He has been nominated twice for Global Beauty Entreprenuer of the Year Award, and was ranked semi-finalist in 2004 for the world. Annually, following Fashion Week in Manhattan, D.J. takes his Senior Stylist to Redken 5th Avenue NYC for 3 full days of hands on training with the best of the best. Monthly, he conducts a model call for in-salon hands on sessions with his Team Members. Quarterly, D.J. invites Redken Educators for the Salon Team and BioElements for the Spa Team to come and provide work shops to feed their appetite for continuous education. D.J. believes even the motivated need motivating and therefore feels the mind and body deserve continued rejuvenation through education and motivation. He also feels the client deserves and can sense not only a confident Salon Stylist and Spa Technician but an accomplished one as well. D.J. 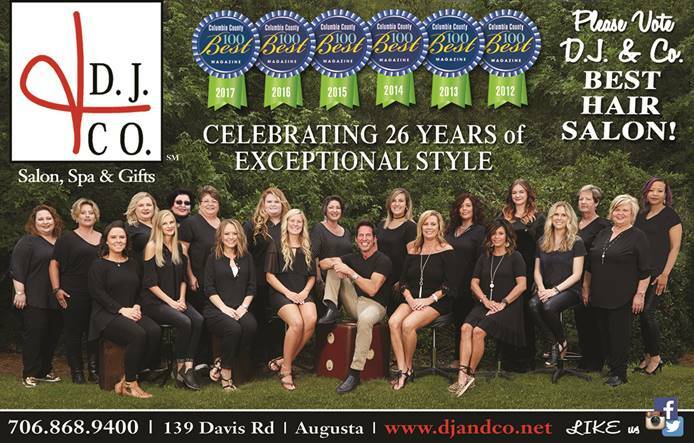 has personally served over 150,000 clients in his career,(325,000+ total for the Salon and Spa), and he and his entire Team are looking forward to the next half million and beyond.